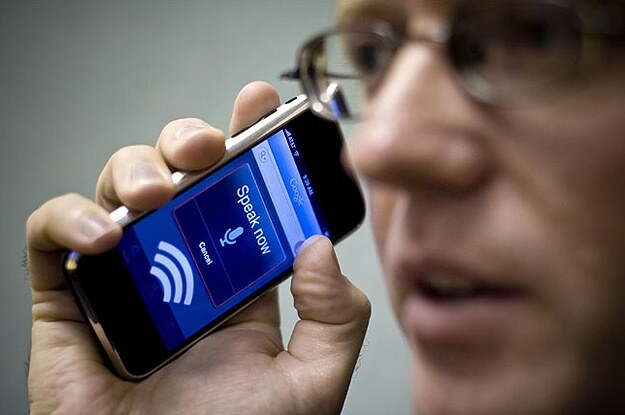 Speech recognition is a software invention that allows the user to interact with their mobile devices through speech. It is simply an application that enables a machine to single out words or phrases in a spoken language, thereafter it converts them to a machine-readable format. Speech recognition is designed with the sole purpose of creating text from speech, so instead of typing through a keypad, users talk to the device which has programs that type the text. As an inter-disciplinary sub-field of computational linguistics, it develops technologies that first recognizes then converts spoken language into text by computers. Rudimentary speech recognition software contains limited vocabulary of any language involved thus may only identify them if they are spoken elaborately by the users of the system. To counter this, more sophisticated software contains the ability to work with natural speech that includes numerous numbers of words and phrases the user may decide to use. Like all computer software, speech recognition employs algorithms that work using acoustic and language modeling. Acoustic modeling represents the intermediary between linguistic units of a speech and audio signals whereas language modeling matches sound produced with word sequences to help distinguish between words that are familiar. This has made speech recognition to have a wide range of application such as call routing, speech-to-text processing, voice dialing, voice search and also is applied in simple data entry practices. Towards the end of the twentieth century, speech recognition systems had found a broad range of use in computerized games and toys, control of different instruments, data collection, and dictation. The feature also proved to be of much help among those who could not obtain keypads and among those with certain disabilities. Siri, which is installed on the latest iPhones, is among the most prominent example of mobile voice interface and it shows the impact of speech recognition in today’s society. The following illustrates some of the impacts of speech recognition in the society. Used in evolving search engines; when using search engines there can be differences between how we type our inquiries and how we verbalize the same queries. The user may have trouble expressing a phrase or their intent thus may not acquire appropriate results. With the inclusion of speech recognition in search engines, the results accuracies will be significantly increased. As speech recognition improves, there will be a significant implication on how the public views search engines generally. Impact in the healthcare industry; the feature has its use in medical reporting by medical personnel. When it was introduced in this industry doctors had trouble using it to accomplish tasks. The system had a limited understanding of medical terminologies. Therefore, doctors had to learn on how to talk to the software. The technology was improved to be user-friendly and accurate; this was established by imperative improvements and inclusion of relevant vocabularies. Use in service delivery; customers and clients may not want to speak to a live operator. Therefore, they opt to use the speech recognition systems. This helps to make the process efficient and improves on time as it cuts on waiting time. This has its application in various airports in confirming travel schedules of the aircraft. Automated identification; In order to avoid providing sensitive and risky personal information, institutions may opt to use speech recognition to authenticate identities of their clients. This has helped to curb fraud and phone crimes by use of voice biometrics in certain institutions like banks. Communication in service providers; telecommunication providers use speech recognition to serve their clients who may want to receive customer care services. This consists of various questions by the software to establish the caller’s demands and then directs them to the appropriate operator for assistance. There are some company bringing new solutions which might have great impact in this field . Take an example of Anryze distributed network, is a peer-to-peer distributed computing network for speech recognition and neural network education that allows users to transcribe audio files without reliance on a third party provider. Anryze recognizes speech in its software through the following techniques; After capturing the voice, the program cuts off external noises, divides it on small pieces, and sends them for the further processing to the receptors of neural network which produces the final result. Currently, technology may not allow the making of genuine human connections with mobile devices, but it is developing at a fast rate, and will become more prevalent in few years to come. This system is favorable to users as it is easily accessible and highly convenient with the system being frequently installed in computers and mobile devices of leading producers. However, in its journey, it faces certain shortcomings, such as its inability to capture word used due to variations of pronunciation due to various accents. There is also lack of support towards most languages other than English, and also it may be incapable for the software to sort through background interference. The shortcomings lead to inaccuracies, and as a result, the system may not be able to work swiftly like it is supposed to.